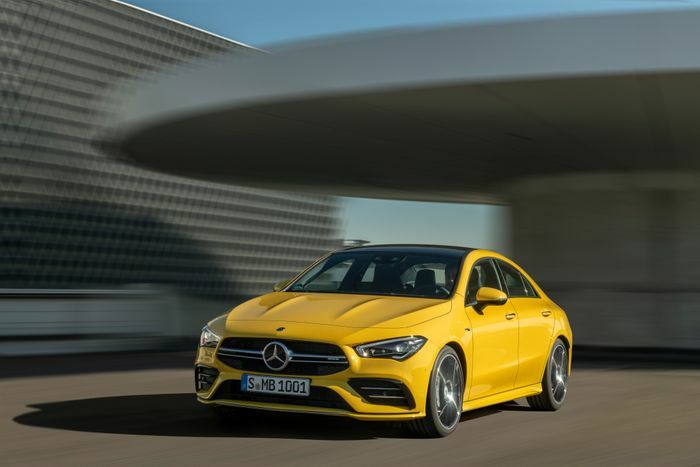 If you like the idea of the Mercedes-AMG A35 saloon we first saw a couple of weeks ago but don’t quite get on with the styling, allow us to present Option B. It’s called the CLA 35, and it’s another four-door saloon with 302bhp and four-wheel drive. 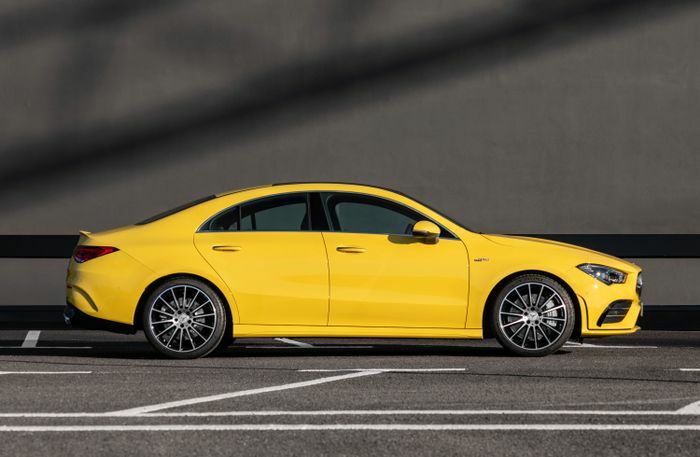 Yep, Mercedes has decided both of its compact saloons deserve the halfway house AMG ‘35 experience, creating two cars which are awfully similar on paper. 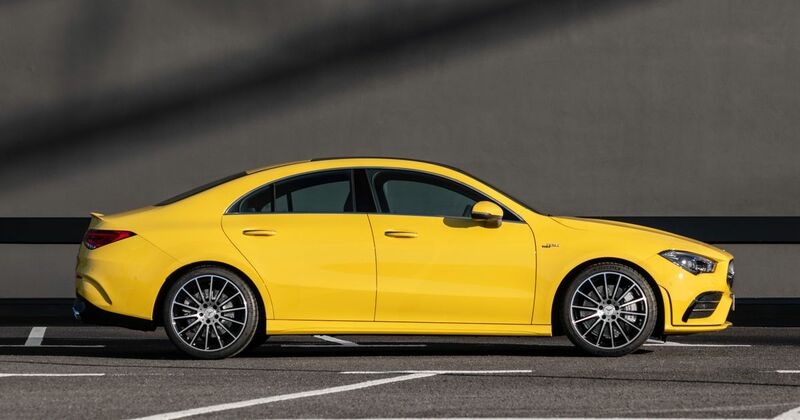 The CLA version is ever so slightly slower, hitting 0-62mph from rest in 4.9 seconds. That’s an increase of a tenth compared to the A35 saloon and two tenths away from the A35 hatchback. As you’d expect, the top speed is the usual 155mph electronically-limited deal. It has the same four-wheel drive system which can distribute up to 50 per cent of torque to the rear axle if needed, or decouple it for the sake of efficiency. Plus, you get the same smattering of A45 suspension parts the other ‘35s enjoy, and an optional adaptive damping system. When it comes to braking we have four-piston calipers and 350mm discs up front, and single-piston calipers with 330mm discs at the back. You guessed it, that’s a setup shared with the A35. 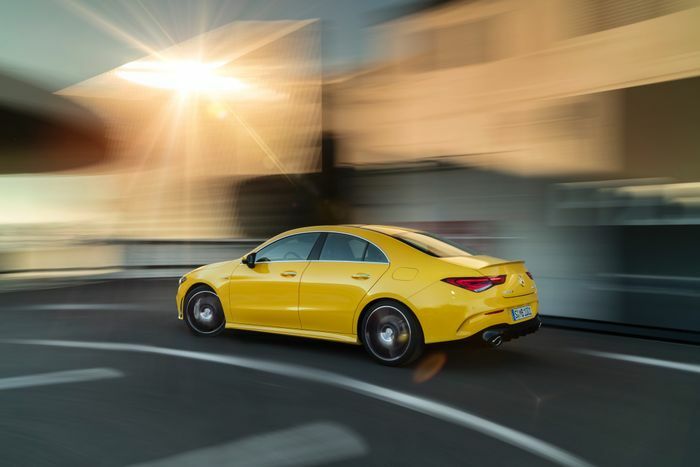 The sense of deja vu continues on the inside, where you’ll find the same dash layout as the two A35s, which also includes the new AMG steering wheel which has been slowly making its way through Affalterbach’s full range of cars. That’s no bad thing, as the twin screen format works very well, particularly with the fancy (but optional) augmented reality navigation system, and the steering wheel is rather clever too. If you want to see it in the metal, you’ll be able to have a look at the New York Auto Show, which starts on 16 April. The CLA 35 will be on sale from 29 April, and although we don’t know how much it’ll be yet, we’re banking on it being close to £40,000, judging by the premium Mercedes charges for each CLA model over the equivalent A-Class.